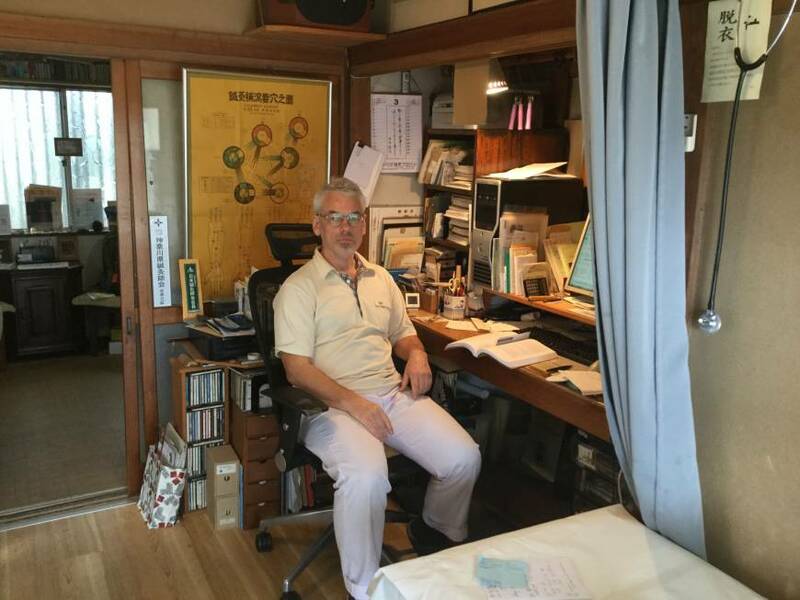 “It is my job to ensure that patients do not need to see me.” This phrase is written in large letters on the webpage of Thomas Blasejewicz, an acupuncturist from Germany who has had his own clinic in the Kanagawa beach town of Hayama for 22 years. To some this may seem an odd maxim for a health care practitioner to express, since patient visits are the basis for a professional healer’s livelihood. “Other acupuncturists told me I was crazy,” he says. Yet not having to get treatment in the first place is, at least from the patient’s point of view, the ideal situation. Failing that, says Blasejewicz, the goal should be to help the patient to not need to come back. But going against convention is nothing new for Blasejewicz; it characterized his decision to come to Japan in the first place. Born and raised in the German port town of Kiel, he became fascinated with Japanese martial arts and Eastern philosophy at an early age. In 1974, at 17, he was determined to go to Japan after graduating high school. This was decades before the global Japanese pop culture boom, and his choice was seen as odd. The initial problem was finding a kyūdō dojo, only two of which existed in Europe. Neither one was within a convenient distance. Thinking it over, Blasejewicz decided that what he wanted was not attainable in Europe. “I was a teenager driven by perfectionism and idealism, and was convinced that European kyūdō masters could not provide ‘the real thing.’ For me, the conclusion was obvious: I had to go to Japan.” He began saving money for the trip. But before he could go to Japan, he had to finish high school and then do 18 months of government service, which in Germany usually means conscription. As a pacifist, Blasejewicz avoided the draft by obtaining conscientious objector status. Appointed to a labor welfare association, he worked as a home helper to assist elderly residents with various tasks. A couple of months before departing Germany, he took language lessons from a Japanese woman who also wrote a letter on his behalf to the All Nippon Kyudo Federation inquiring about dojos in Japan. The answer was, in effect, “Come to Japan first, and we’ll see what happens.” Though disappointed by such a vague answer, Blasejewicz was undeterred. Finally, the big day came. He gave away most of his possessions to friends and family, packed a rucksack and took the Trans-Siberian railway across Eurasia. Arriving in the Russian port city of Nakhodka, he then boarded a ship to Yokohama. Upon arrival, he was met by a member of the Japanese Maritime Self-Defense Force he had befriended during an MSDF port visit to Kiel. He guided Blasejewicz to a youth hostel and helped him check in. In his search for a place to train, he eventually met kyūdō practitioner and Zen priest Koun Suhara at the Engakuji Temple complex in Kamakura. He communicated through German expatriates acting as interpreters. Originally expecting to stay for about six months, this encounter changed his mind. Convinced that Suhara was right, Blasejewicz settled in Kamakura, changed his visa status from tourist to student and began studying Japanese in earnest. He began training in kyūdō at the Kanagawa Kenritsu Budokan in Yokohama. Earning money through stints at small language schools teaching German and English, he decided to learn a profession. Recalling his time as a social worker physically assisting the elderly, he wanted a vocation that would allow him to help people with his hands. He decided on acupuncture, which tied into his interest in martial arts and Eastern philosophy. 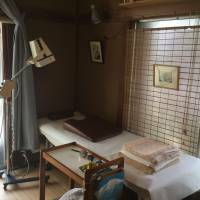 He enrolled at Harada Gakuen in Shibuya, and three years later had licenses in massage/shiatsu, acupuncture and moxibustion (heat therapy). 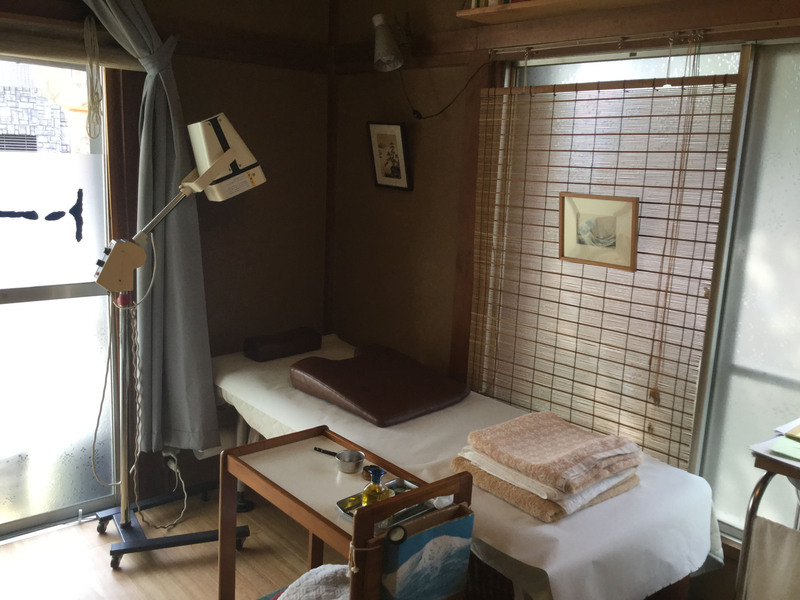 “I then went to Tamagawa Hospital to work in the Oriental Medicine Research Institute,” he explains. “It doesn’t exist anymore. They allowed acupuncturists to work on patients who requested acupuncture. I worked there for four years, but the pay wasn’t enough to support a family. With a fourth child on the way, something had to be done. Blasejewicz began freelance translating in German, Japanese and English. 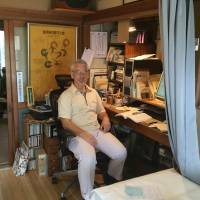 By this time he had moved to Hayama, and in 1995 opened his own clinic near Morito Beach. Blasejewicz describes acupuncture in both Eastern and Western terms. “In the Eastern view, there are several elements flowing within your body: ki, blood and every other fluid except ki. If this flow is uninterrupted, you are healthy. If the flow is out of balance, acupuncture tries to restore it. “As an analogy, I try to retune your body to the correct frequency,” Blasejewicz explains. “If the ‘machine’ isn’t broken in the first place, and is simply out of balance, it works fine. But with a broken bone or an advanced stage of cancer, for example, putting a needle in there doesn’t help. “In Western terms, inserting a piece of metal into the body creates an impulse that is sent to the brain, and there is a sort of conference in there as to what to do about it. The impulse comes back to the point of insertion, but there is also an impulse to another part of the body — for example, the large intestine. With much of his time taken up by acupuncture and translation, Blasejewicz stopped studying kyūdō after attaining the rank of second dan. But at the moment, he says he is busy with other things. “I am an assistant. I try to assist people in healing. I help the patient’s own system to heal itself, with the skin as an interface. “Most people in Japan call me sensei,” Blasejewicz continues. “The kanji characters mean ‘before’ and ‘live,’ to denote one who is older. For me, these characters have a different meaning. I see the healer as one who lives not ‘before’ but rather ‘in front of’ the patient, and provides an example. I cannot heal people, but I can show them how to heal.